Enables Brands and Retailers to Easily Add AR Shopping to Website Product Pages and “Closes the Imagination Gap” for Online Shoppers. 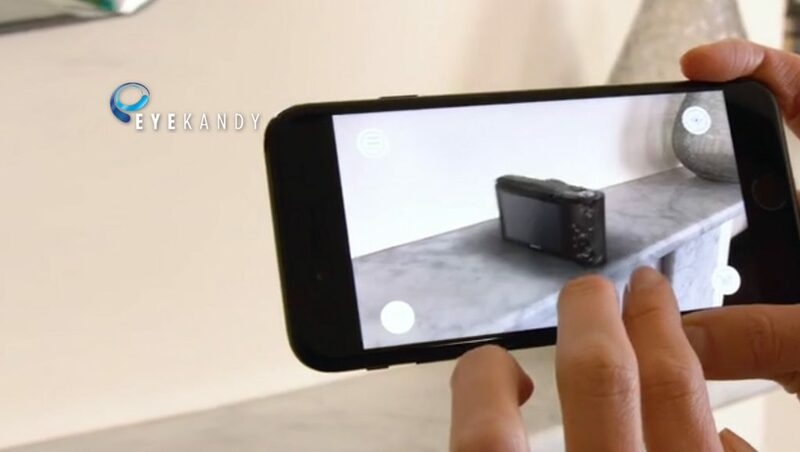 EyeKandy, a global leader in A-Commerce solutions, announced the launch of Point & Place, a turnkey augmented reality (AR) platform for brands and retailers. The AR platform enables brands and retailers to take advantage of the growing consumer awareness of AR technologies to deliver a more engaging shopping experience and reduce the guesswork required for shoppers when making online purchases for items such as TV’s, home appliances and furniture. Available in fifteen languages and already live across seven countries with retailers including; Vanden Borre, SaveHyperonline, Curry’s and Euronics the Platform removes the need for retailers to undertake costly R&D on their own AR platform or have to produce AR product models. EyeKandy indicates that the AR Platform is just the first release in a dynamic AR Product Roadmap over the next twelve months.